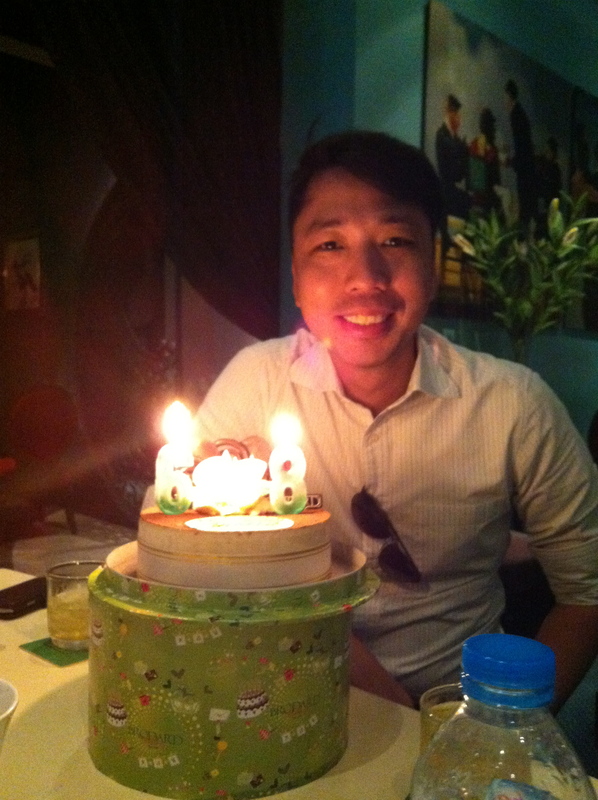 Since late last year, God revealed to me that my season in Viet Nam would be coming to an end. And that the next chapter is to return to Singapore. Hence, I had made plans to return to Singapore next year. However, God had other plans. He orchestrated a job opportunity for me that will allow me to return to Singapore much earlier as I would have anticipated. In addition, the new company was willing to wait out my 3-month resignation notice! Thus, next month I would be returning to Singapore to start my new job. This new development also prompted my wife to look for her job in Singapore. And recently she received an offer to a job that would further her career as a professional counsellor. She begins her new job in a week’s time! Praise God! Thus far, it has been amazing to see how God is working ALL things for us to return to Singapore with such ease! Too much ease that we cannot deny we are in the will of God. So that is assuring that we know we walking with Him. And that’s all that truly matters to me- that we are following Jesus! I’m also thankful to God for my wife. Without her love and support, I would not be in Viet Nam for the last 4 years. My wife demonstrated her love for me when she resigned from her dream job which she was then a school counsellor. And she did that so that I could pursue the vision and purpose of God for my life! I must admit I have often took her for granted and her sacrifice. That’s why I’m so delighted that she now has this new job where she can continue to pursue her vision and purpose of God in her life from where she had left off. In our next season, I believe it is now my turn to rally behind her and to see to it that my wife becomes all that she is destined to be and achieved in Christ! 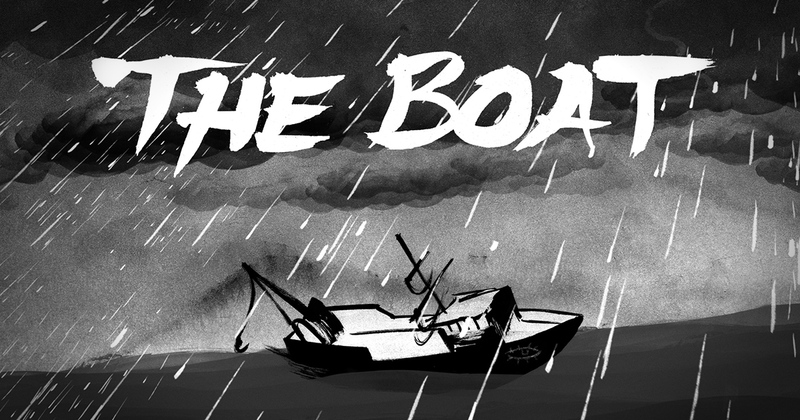 The Boat is written by Nam Lee who is a Vietnamese-born Australian writer. This book comprises a collection of short stories of escape journeys from Vietnam after the reunification happened in 1975. It is difficult to fully understand what the war or the reunification meant to the people who were directly involved in that historical episode. But here’s one painful and turbulent experience recounted for us. 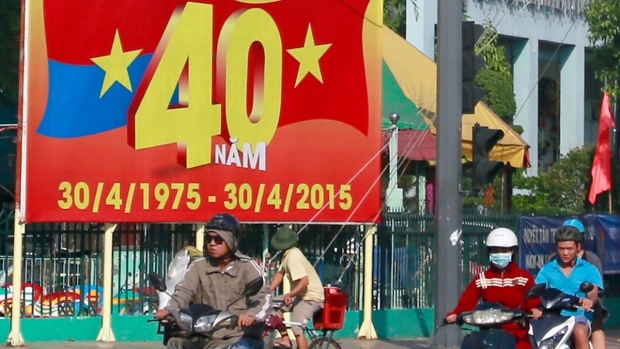 Today, Viet Nam celebrates her 40th year of reunification- the day that South Vietnam fell under the Northern regime and re-uniting the country under one communist rule after 21 years of separation. I believe this 40-year milestone as a re-united nation is significant for Viet Nam from a spiritual perspective. Israel spent 40 years in the wilderness after being released from Egyptian slavery. That Israel led by Moses could have entered the Promised Land much sooner but due to their stiff-necked and disobedience, God withheld that from happening. Before, that’s how I saw it. I interpreted how God was using that period of time in the wilderness to discipline the Israelites and in a sense punishing them for their disobedience. Although this is somewhat true, but I discovered later that what I saw was just a glimpse of who God is and His intentions. Looking at this episode with New Testament lens, I discovered how God’s love and grace was in abundance towards the Israelites. I saw God’s real intention for withholding the Promised Land from the Moses-generation Israelites was because He was protecting them from total annihilation. God knew that the enemies that were residing on the Promised Land would have easily defeated the Israelites if He had led them to cross over. Those Israelites then were not ready to do battle with external enemies as they were battling with their inner enemies. Hence, it is truly grace that kept them from entering the Promised Land. Similarly, God loves Viet Nam and His grace has protected and guided this nation this past 40 years in spite of her disobedience and weaknesses. 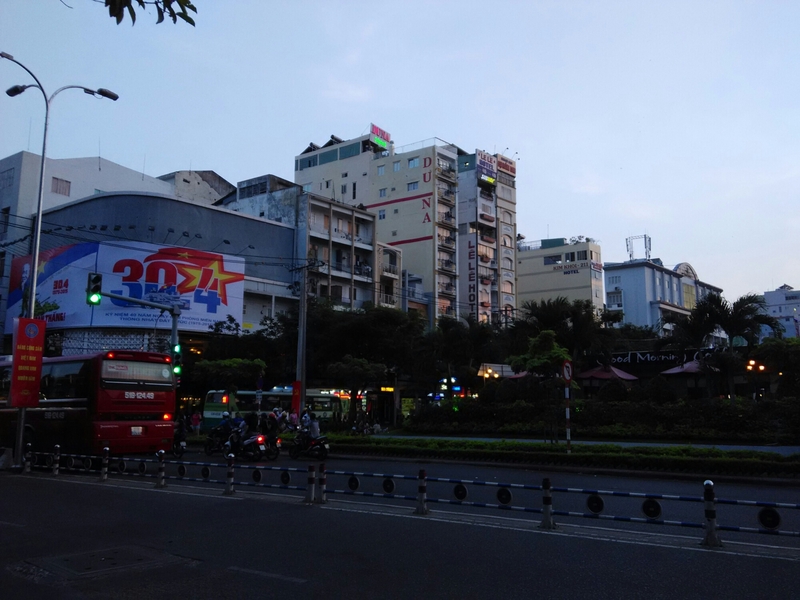 Although Viet Nam has flourished materially, but instead of improving lives the reverse is more true with other social issues such as divorces, youth delinquency, vices and etc… arising as quick to destroy its society and social fabric. Interestingly, Israel then even in the wilderness was also materially better off. They left Egypt with their gold and silver loot surrendered by the Egyptians. However sadly, this resulted to idolatry, self-gratification and self-vanity of misplacing their confidence and trust on their own efforts. Likewise, the past 40 years of reunification for Viet Nam has been a journey of ‘wilderness’ and battling of their inner enemies of finding their identity as a unified country and people. Without identity, one can never truly grow and achieve significance. At best, drift along and achieve mere survival. Because one’s vision, purpose, values and confidence stem from one’s identity. And discovering one identity ultimately leads one to know God as the Creator and Source. Hence, the past 40 years for Viet Nam has been a bumpy ride of finding her identity towards her journey with God. All these trials, necessary in preparation for the ‘crossing over’. Like Israel, with their new found freedom, the Moses-generation or pioneering generation of Viet Nam carried many emotional and spiritual ‘baggages’ that had prevented them to truly know God and follow Him towards progressing as a nation. However, His love and promises to this nation remain unchanged! In His great grand scheme of things, God has prepared and is raising up a new generation of believers with the ‘Joshua’ mantle and mettle to lead His people to truly know God and follow Him. The future of this nation now hinges on this Joshua-generation of Viet Nam to cross over into the ‘Promised Land’ and lead the progress of this country into her destiny. And to see this happening, we need to forget (but learn the lessons from) the past and focus on investing in this Joshua-generation for the ‘Promised’ future! Today, I’m excited for what lies ahead for Viet Nam. And I’m believing that the next 40 years will be a glorious one with Viet Nam saved, transformed and prosperous for His glory. Will you believe with me? If you do, please pray with me and together let’s reach to love and disciple the Joshua-generation around you! I’m now 30 + FIVE years old. And I feel awesome crossing my 35th year on planet earth as a child of God. Why? Grateful for all the relationships that God has place in my life especially the new friends I have made in Vietnam. In particular, I’m blessed by those whom I consider my spiritual family. 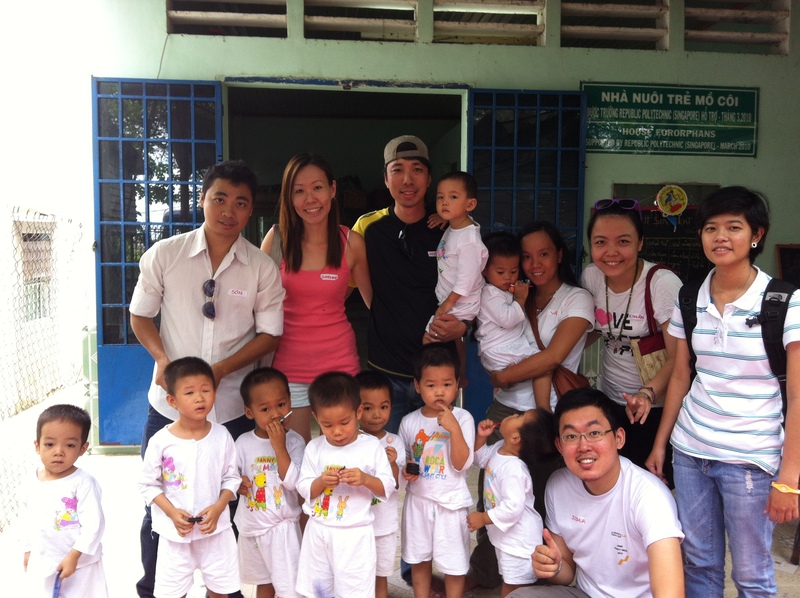 These bunch of fabulous people in Vietnam have so much potential in Christ. I only pray that they know and experience the love of Christ more and more with each new day! I love them with the love of Christ. Since being saved by Christ, my life has been exceptionally interesting. From a life lived aimlessly, and to one that is now lived purposefully! For certain, I never for once thought that I would be working in Vietnam. Let alone imagine that it would be possible. Moreover with my wife in tow! However, God is always full of awesome surprises and promises for His children. And I’m grateful that I now not only have a destiny, but also have the ability to live out that destiny in God. It is God who has given me the victories in overcoming all the obstacles and challenges in my life to be where I am today! I’m grateful that He is with me in all my valleys and mountain-tops experiences; from a delinquent who others say got no hope to a person who can now inspire others with hope. Although it can be said that we can also be overcomers without God, but we would not be able to truly emerge stronger or fully realized our potential towards our true destiny without God. I’m excited about the next couple of years that God is leading me towards! Actually I’m more of a laidback and not so ambitious kind of person. But it is Jesus in me that motivates me to do great things for Him by instilling a fiery passion to live for others. Lately, He gave me a new faith goal. And that is to be a business owner. Seriously, I do not know how this will happen. But I will just obey and follow since He has already taken me this far. I’m confident in His grace that is able to stretch me further in becoming a greater positive impact to as many people as possible! This is long overdue. I had crossed my first year in Vietnam in three months ago. And I was blessed to mark the first year by contributing an article to City News. In Singapore, God has richly blessed us that we can be a blessing to those around us and beyond our borders. This is evident with the countless overseas missions that our local churches embark on annually. This not only speaks of our readiness to spread the love and good news, but it attests to the rich resources which God has provided His people in Singapore. Hence, we ought not only to be thankful that we are home to many strong churches, but as a small nation, we can serve as a blessing to those around us.